ASE Pavers can bring the best out of your Pool Deck, with a wide selection of brick pavers. For our full range of brick pavers patterns and colors, please click here. Pool decks are a great way to enjoy outdoor living and relaxation. Through industry experience, customer understanding, and employee dedication, our company consistently provides the best customer service. Whether you have a need for practicality, functionality, or simply a wish list, our team of dedicated brick pavers professionals have innovative design ideas and solutions to capture your home’s unique character and reflect your individual lifestyle. 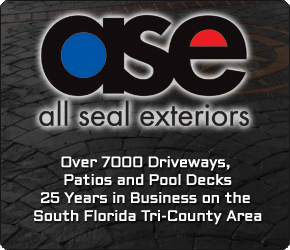 Not only does ASE Pavers design new pool decks, but we also remodel pool decks as well. There are many colors, shapes, and sizes that you can combine to create the perfect and ideal pool deck. For a complete guide on brick pavers patterns and colors, please click here. 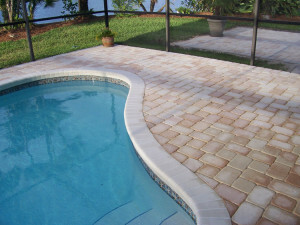 Please use the form on the right side of the page to request a free estimate on Pool Deck Brick Pavers from ASE Pavers.